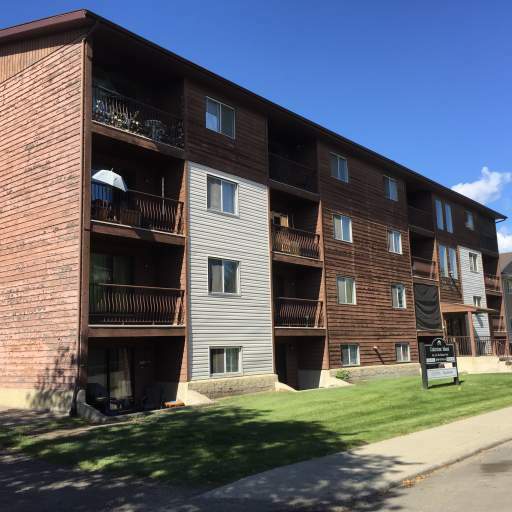 What makes 164 Street Apartments great? 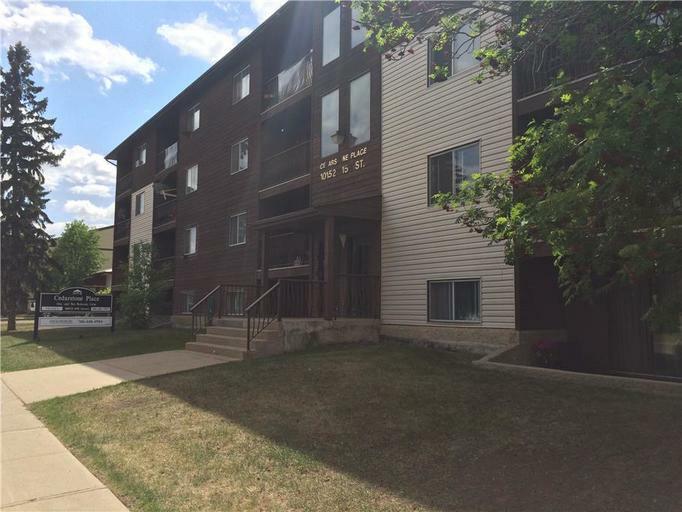 164 Street Apartments is a welcoming low-rise building located in Glenwood. 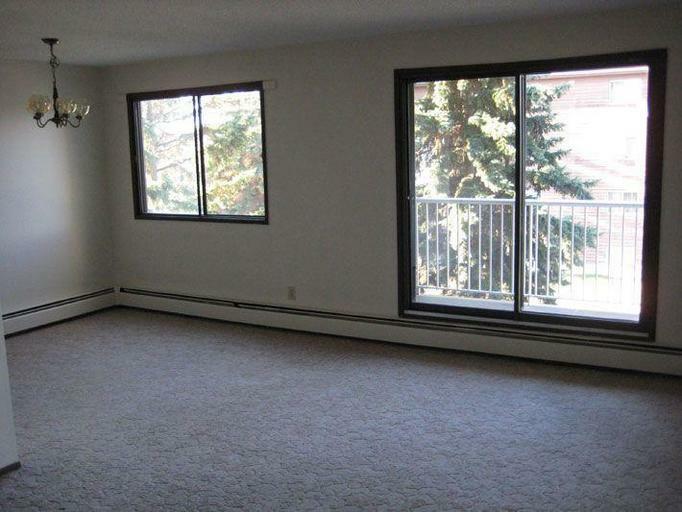 Our freshly painted one and two bedroom suites feature updated flooring, large storage rooms, and 3 appliances. Residents enjoy professional onsite management, modern laundry facilities, large storage rooms and one energized parking stall per suite. Ample street parking is available fpr visitors. Who lives at 164 Street Apartments? Families and professionals alike enjoy convenient access to the Misericordia Community Hospital, MacEwan University, and Downtown Edmonton. Commuting is simple with transit just a short walk from the building. Shop close to home with Mayfield Common and other large department stores just a short walk from the building. There are great restaurants, banks, and convenience stores within walking distance and Safeway is just a short drive away. 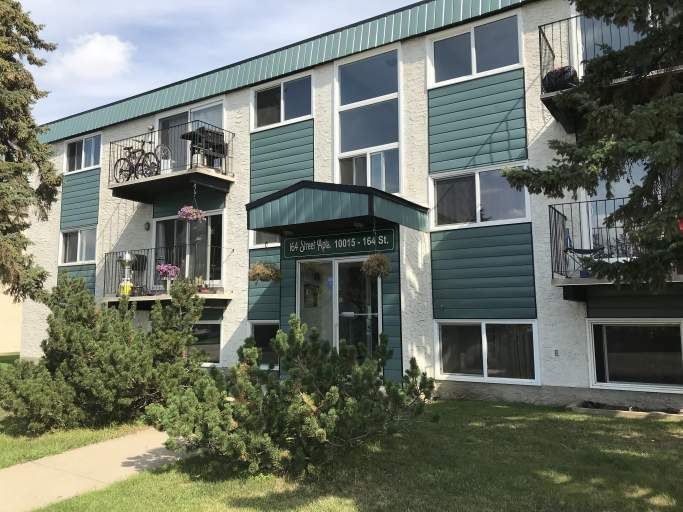 Community interests include nearby parks, golf courses, and Jasper Place Wellness Centre. Additionally, the infamous West Edmonton Mall is only 7 minutes away.